Buck Brannaman. Photo by Nicole Poyo. Since 2013, the contemporary world of vaquero horsemanship has met in the small, Central California town of Santa Ynez on the third weekend of October to compete and celebrate the time-honored art of stock handling. This is not a team roping. Entries for the Brannaman Pro-Am Vaquero Roping consist of three person teams – two “amateurs” and a “pro.” Teams must separate a designated (numbered) steer from a herd, head and heel the animal and then – with care – take it to the ground as if to be “doctored” – all as gently as possible but within a timed period and with everything being judged for accuracy, horsemanship, speed and - care for the animal. At this event, slow is fast. Ropers of all levels of capability are encouraged to enter as legacy traditions, such as this type of cattle work cannot continue without new people joining in. Everyone who enters has an even shot at winning part of the largest purse in ranch roping. The Brannaman Pro-Am Vaquero Roping has become the “richest” – meaning best payout – ranch roping in the country. Here’s how it started. Ten years ago, the concept of a “Pro-Am” ranch roping event was a little idea horseman Buck Brannaman had been thinking about during his travels around the country doing horsemanship and ranch roping clinics. He was a proponent of ranch roping techniques that involved many of the long-rope “loops” developed and perfected by the Pacific Slope region’s early vaqueros and roping enthusiasts who valued the gentle approaches used on ranches to doctor cattle outside. 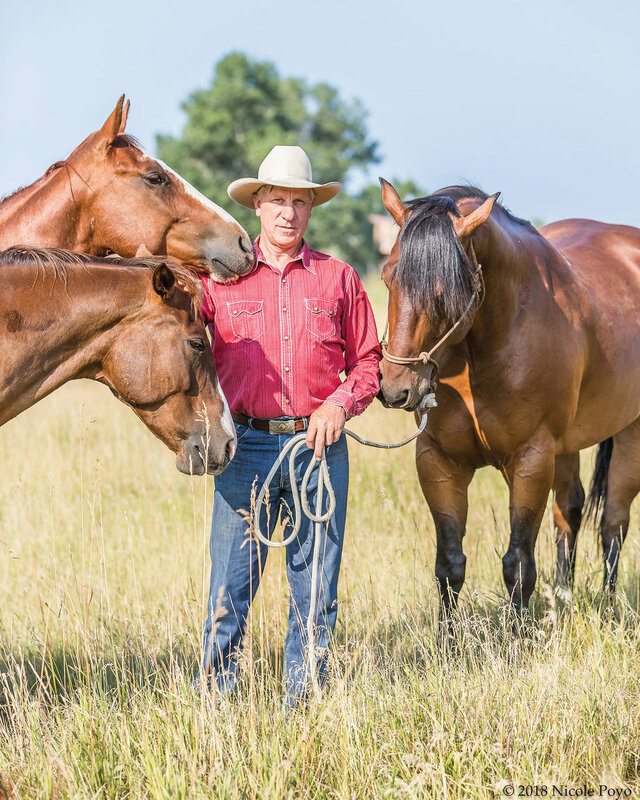 This approach is the basis for Brannaman’s ranch roping clinics and how he operates his own ranch. He figured if he could bring together a group significant ropers who also followed this approach, he might be able to then put these “Pros” together with “Amateur” two person teams and create a draw-style, pro-am roping similar in design to a pro-am golf tournament. It took some doing. So Buck, his friend Bill Reynolds – and Buck’s daughter Reata - put together the first Pro-Am in 2013. We started with a sign-up model that was initially mail driven – first delivered, first in. Two member teams would enter to secure a spot, and then we would pull their “Pro” partner’s name out of a hat the day before the event. It worked but was pretty time intensive. Reata stepped in and created the entire entry set-up online in 2015 and it succeeded way more efficiently. She designated a certain day and time when entries would be accepted and entries filled in thirty minutes(!) This was more like tickets going on sale for a Rolling Stones concert than a roping! Beyond the event itself, there is a vendor show and a unique craft show that has been curated, for several years, by silversmith and wonder-woman, Nevada Watt. The Fusion Show and Sale has been a huge cultural addition to an already culture laden event. Subtitled “Creativity within Constraints,” the Fusion show is presented with a specific set of subject parameters – 2017’s show was all about hats and hat adornments. The first show in 2015 was about bridles and 2016 was about price points – do anything for a sale price not to exceed $2500. Part of the sales dollars goes into the pot for the winning teams. Everything about the Pro-Am is designed to support the teams as many have saved all year and come great distances just to be there. The Pro-Am is a “non-profit” in the truest sense of the word. All money from entries and sponsors goes to putting the roping and on and paying out to the winners. In a matter of four days one hundred fifty teams and their families, vendors, and spectators (spectating and parking are FREE!) descend on the Santa Ynez Valley Equestrian Association center, put on an event and leave but during that time – a community is created. And that sense of community continues after the event in the hearts of those who come and that is exactly the point. With the success of the Pro-Am, folks ask all the time, “So are you going to make it bigger?” The short answer is no. The Pro-Am started with one hundred teams and has evolved at the same location to welcome about one hundred fifty teams. That’s about what both the facility - and people who put it on - can handle. The desire is simply to make it better through increased sponsorship, and increased the payouts. But the real win – hopefully – is that the culture and the traditions that the Pro-Am celebrates can continue to thrive within the horse and cattle communities. In addition, the Pro-Am puts a spotlight on the kind of stock handling and stewardship that goes on in today’s ranching community for all to see. The strength of the event and its ability to communicate rests with the superb people who come to rope or simply support the event’s idea. It’s the people who make the difference and it’s why everyone comes back every year.